At least once a week I make my weekly journey to my hometown version of "foodie mecca," our local Italian grocers. Over the better part of the past year Valoroso has been expanding and upgrading and introducing many ingredients directly from all corners of Italy. They have always carried and introduced new lines of pastas, sauces, and ingredients that leave me weak in the knees and my mind spinning with recipe ideas. When I am searching for fresh ricotta, burrata, porcini mushrooms, figs, truffles, or a myriad of other products this is my "go to" place to find those longed for ingredients to add "gusto" to my kitchen. On certain days Chef Pietro teases us with mouth watering dishes made from the products available. The first time we met he prepared the dish you see here today that appeared in my kitchen that evening. There are two standout ingredients in this recipe. First of all pasta from the city of Gragnano in Italy and secondly Porcini mushrooms. Italians are known for taking ‘simple’ dishes and basic ingredients to the height of perfection which is easy to do with quality ingredients. My kitchen cupboards are overflowing with pasta of every shape and description, but, as I wander the aisles at Valoroso I am hypnotized, "What is one more?" One of the latest additions to their pasta family are from Gragnano which is famous for it's pastas in Italy. Alongside large manufacturers like De Cicco and Barilla there are smaller artisanal and organic companies like la Fabricca della pasta Gragnano in the mountains of Lattari overlooking the Gulf of Naples. These pasta companies have produced pasta for over 500 years in time-honoured tradition. There were once over 300 pasta factories in the area which has now been reduced to approximately 12 at last count, a mere shadow of the past I hope to discover. Gragnano has always been well known for its production of prestigious pasta, sparkling wine and its delicious "Monk Provolone." For those of you who follow this blog you will know of my upcoming trip to Italy.One of the many adventures awaiting me on my Italian Sojourn is a tour of a pasta factory and the town of Gragnano not far from Naples. It will be late October when the air has that hint of crispness. The fall after all is my favourite season. I am told that in Italy the weather is most often pleasant, the countryside beautiful with the leaves changing colour on the trees, the mists in the morning, the sun low on the horizon, and the hot pink cyclamens in bloom. I am told the air smells of firewood and the earth of rain! Another remarkable part of the fall in Italy is the wealth of delicious seasonal products I hope to discover... chestnuts, porcini mushrooms, white truffles, the new olive oil, and "vino novello" (the new wine) are all autumn products. For meat lovers, this is also the time of the year when you can eat fresh game, since the hunting season is open. Wild boar, hare and pheasant meat is quite easy to find if you visit a rural area. The forest offers a delightful feast for the eyes and the nose, and the table is "a celebration of the tastebuds." But enough daydreaming for now and back to our dish. Next we move on to our second ingredient in Pietro's pasta dish, the Porcini mushroom which Italians affectionately call the "the piglet." The meat-like texture of Porcini, with its earthy and somewhat nutty flavour is unequaled among mushrooms and lends itself to countless dishes. Italy is probably the world's biggest market for porcini, Every grown-up full-blooded Italian eats porcini at least three times a week from August to December and always treated with great devotion in salads, soups, meat loafs, pies,and risotto. Dried porcini are featured in this dish which have a concentrated flavour and mushroom aroma that is excellent in risotto, soups, and amazing sauces like this one. To prepare dried Porcini steep them in enough boiling water to cover until they are reconstituted. After draining the Porcini mince them, but, keep the steeping liquid. This liquid adds even more concentrated Porcini flavour to the recipe, just make sure you strain it first. When buying dried Porcini look them over carefully. A strong mushroom aroma should greet you once opening the package, if the mushrooms have no fragrance, then they have no flavour either. I fell in love with this pasta dish when I first tasted it from Pietro's demonstration. The dried porcini and the artisanal pasta make for a memorable dish. Boil some water in a kettle. Place porcini mushrooms in a bowl and pour enough water to cover and allow to soak for 20 minutes. Meanwhile heat a few tablespoons of olive oil in a large frying pan and brown the onion until translucent. Remove the mushrooms from the water with a spoon and roughly chop. Place the mushroom water aside for later use. I am submitting this recipe toPresto Pasta Nights which has been the baby of Ruth over at Once Upon a Feast for over 5 glorious years. Whenever we feel the urge for some pasta we can go over to her site and have years of entries from all over the world to choose from, from pasta salad to lasagna to Pho. There is a pasta for every season, every ingredient and every taste. All of these delicious pasta dishes have been submitted by all of you!!! 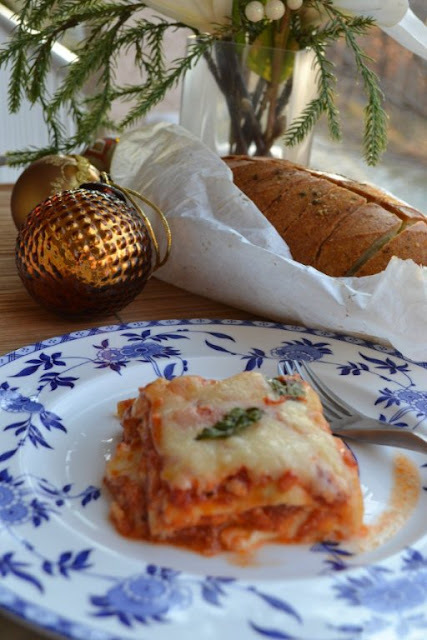 Ruth says, " Every week food bloggers photograph and write about their latest pasta creation… if it’s for breakfast, lunch or dinner; served hot or cold; spicy or sweet; from appetizers to mains to desserts." This week the event is being hosted by the lovely Simona of Briciole whom I have been following for just about as many years. That looks amazing and you know how I love mushrooms. I am there with a large bowl held out to you. More please!!! Taking a trip to my local Italian grocery store is like a field trip for me! So fun. This pasta looks delicious! I see Simone is doing Pesto Pasta Night - are you submitting this? YUMMY! You MUST be getting excited. This recipe looks dreamy. I LOVE PASTA dishes! A fabulous dish! Porcini mushrooms are so tasty. What a wonderful post! So evocative of Italy in the Autumn. I can smell the air. I MUST have that bowl of pasta now!!!! Your trip sounds amazing, can't wait to hear all about it and this pasta is wonderfully enticing! I'd love to have a store like that near me! Oh, to be able to be so readily tempted like this. Your sharing does a pretty good job of making me believe I was there! Lucky you going to Italy. We are hoping for that too next year. I love the porcini mushrooms, had my first in Italy that were foraged by the husband of the woman who cooked for us. This dish is great way to usher in the Fall. That looks amazing, you must be so excited about your trip!! That pasta looks so fresh! Almost unbelievable that it came from Italy. You trip sounds fantastic. The pasta must be fabulous! Can I have a plateful of that? It's making me hungry. oh, that's good and saucy. you're gonna have such an awesome trip! What I wouldn't give to have that amazing market close by! Your trip to Italy sounds wonderful, Val, and I can't wait to see photos and hear the stories. Oh yum - this dish looks so inviting and the market near you sounds great. A visit to Gragnano pasta factory? I look forward to reading about your trip. This is a super recipe and simplicity itself. So looking forward to your posts about your trip...you're going to be in heaven! I am so lucky to live in Manhattan. I rememebr learning how to make diferent italian dishes from my italian store. The owner would send me home with ingredients and instructions and then I would go back for him to taste and always being so nervous until I got an approval or telling me what was missing. How fortunate for you to have such a delightful Italian market near you. I would visit weekly, and daily if I could. No such thing here in the South where I live. One of the longest, and oldest Italian markets in the States is in Des Moines, Iowa where my parents would take me with them to buy many imported ingredients that they used in their Italian restaurant recipes. I can still smell the aromas of that store and visit every time I go home! 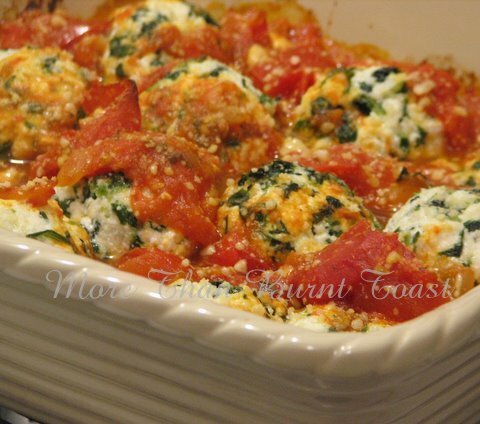 Great recipe and tribute to Italy Val! I love your writing style and am green with envy over your upcoming trip to Italy. I'm sure this dish will help me get over it... in anticipation of all the great dishes you'll share once you get back. I hope the weather will be nice during your visit and that you get to do everything you are planning and more. 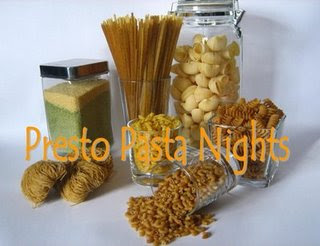 Thank you so much for your kind words and your contribution to Presto Pasta Nights. Indeed, we've known each other for 5 years :) What a pleasure! I wondered if you were visiting Gragnano. One of my slowtravel blogging friends was just there to write ana rticle for an Italian tourism paper. her article is here: http://leapwithoutanet.blogspot.ca/2012/08/gragnano-pasta.html It sounds like an amazing spot to visit. you'll love Italy in the fall - truly one of our favourite times to be there. I love the flavor of porcini mushrooms. What a delightful pasta dish this must be!